Registering with the WEInstitute Network will give you access to career and volunteer opportunities related to international development. This list is open to all but specifically designed for international development professionals and people engaged in the field of international capacity development. Once registered, you will receive occasional email communications on trainings, events and other international initiatives. You may unregister at any time. Please tell us about yourself, your expertise and interests in the WEInstitute. 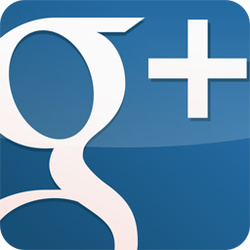 Get a GOOGLE+ account and connect with the WEInstitute this way. You will be entered into your membership group (circle) and will be able to communicate with others through announcements and 'hangouts'. We use this social network tool for our general and internal communications. If you need to reset your password please follow the instruction on the page. Once you login with your username and password, click on 'Settings" for instructions on forwarding and POP/IMAP settings. If you need further assistance please contact wei@weinstitute.org . The service is powered by Google Apps. You can add the WEInstitute calendar events to your personal calendar. If you have more than one Google account you may allow multiple sign-in. You can us the pre-loaded applications like Groups, YouTube, etc or add others of your choice.